Raftaar Warns His Fans About His Fake Concert! Recently, Rob decided to release an official compilation of his work under the name “Reloaded”. The compilation came out on July 22, 2017 and features ten songs including celebrated hits like “My Whole Life (feat. Sikander Kahlon)”, “Respect Overdue”, “Heart Ek” and others. In other words, this is the best of Rob C from the recent past. In fact, “Reloaded” is almost a 30 minutes long playlist and can be considered as his 6th mixtape. “Reloaded” by Rob is exclusively distributed by DesiHipHop.com on all major music distribution platforms. MC Snub uploaded a tribute for the front man of Linkin Park – Chester Bennington. He quoted “Linkin Park was an exceptional band and Chester Bennington was its backbone. A small tribute to Chester Bennington by Mc Snub to spread awareness about depression. It needs to be taken more seriously by our society. It’s a highly dangerous disorder as it can even take the lives of talented individuals like Chester. Share this as much as you can, tag your friends and spread the message…R.I.P. Chester!” This tribute is worth checking out. RIP Chester. “Meri Marzi” came out last week and is a result of excellent efforts. In addition, Vivaad ripped the Young Charsi produced beat off its original shape. Its a modern day up-tempo new-school release. In fact, Lakshya Parihar mixed and mastered the project himself and it sounds fire. On the other hand, the in your face style of bass line adds to the impeccable lyricism of Vivaad and L.A.
Hailing from the Bay Area to an Indian immigrant family, Saheer’s childhood was a balance between family values and his environment. Heavy in instrumentation and dense in content, his music is a reflection of his memories growing up. Intended to guide his listeners through the stories of his own experiences and growth, as well as his vision for the future and beyond. However, Soul Purpose is a departure from Saheer’s recent work. As a matter of fact, he is reinventing his music to express where he stands today in his own journey of introspection and mental maturation. The album dropped on July 20, 2017. With Soul Purpose, Saheer is looking to continue progressing forward to leave a larger mark on his listeners than any of his albums before. Hardy is a Chandigarh-based artist who has always delivered the class. In fact, he can sound commercial with the lyricism that is flexible towards both ends. As a result, you can’t predict the sound he delivers. 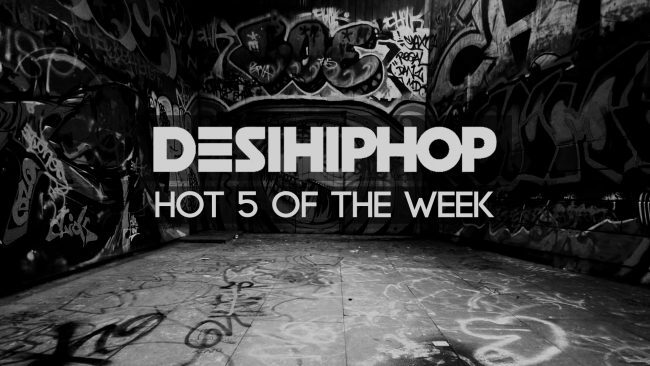 This time he was featured on DesiHipHop’s weekly #FreestyleFridays. Undoubtedly, the freestyle is powerful and Hardy looks more determined.